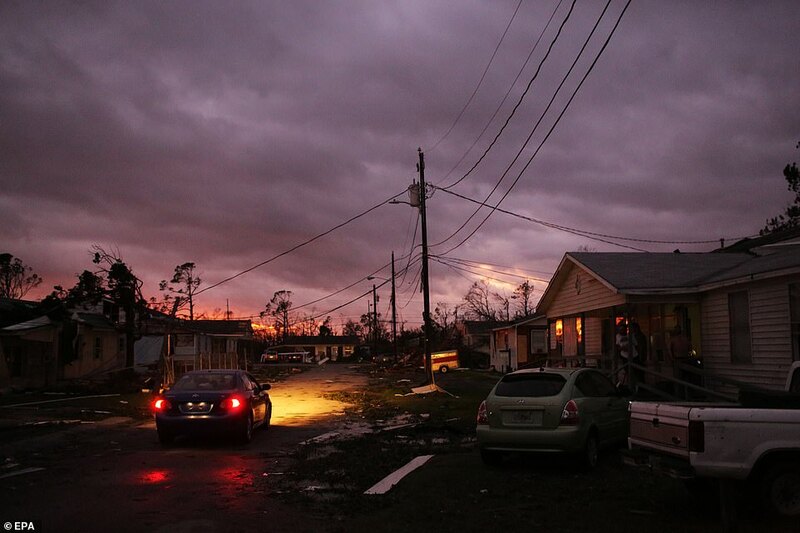 The worst of all hurricanes, Hurricane Michael, made landfall on the Florida panhandle yesterday, and wreaked havoc and destruction on every home in its path, with at least one death recorded so far. This is the worst hurricane to ever hit the region, and Florida continues to be pummelled by Hurricane Michael, with Georgia and the Carolinas next in its imminent path as a category 1 storm. When Hurricane Michael hit Florida, it was a category 4 storm, with winds of between 150 mph, then it went down to winds speeds of 125 mph as it weakened down to a category 3 storm. Such high-speed wind speeds, rising flood water, flying debris, power lines down and damaged buildings, have created unimaginable hazards along the way. With the hurricane now moving inland to Georgia and the Carolinas, there’s also a further risk of tornadoes springing up. All the elements in the wake of Hurricane Michael are why officials are calling it the “worst storm to ever hit the region”. More than 375,000 people had been urged to evacuate, but emergency officials fear that some people did not heed the warning, with an estimated 320,000 people on Florida’s Gulf Coast estimated to have not evacuated. President Donald Trump declared a state of emergency for the entire state of Florida on Wednesday, while Republican Senator Marco Rubio warned anyone in the storm’s path, with “you’re going to die” unless you evacuate. Roads were extremely flooded, trees were uprooted, and homes destroyed as the storm first hit Mexico Beach in Florida on Wednesday, before sweeping across the state. A total of 311,000 homes and businesses in Florida, Georgia and Alabama have all lost power, according to peer companies in the region. Flood waters have submerged the sunshine state, and with incoming rain, the water levels could surge to fourteen feet deep. Through Thursday morning, the threat of tornadoes in Florida, southeast Georgia, and even in southern South Carolina, will cause even further destruction and damage. Thus far, 6,000 people have moved to 80 shelters in five states, including the 1,200 whom are still in shelters after Hurricane Florence. Panama City Beach in Florida was caught up in the eye of the storm, damaging every building in the area, with extraordinary video images being caught of the ocean making landfall in St. James City to unprecedented levels. The head of the Federal Emergency Management Agency (FEMA), Brock Long, told President Trump before the storm hit, that it was the “worst kind” of hurricane. 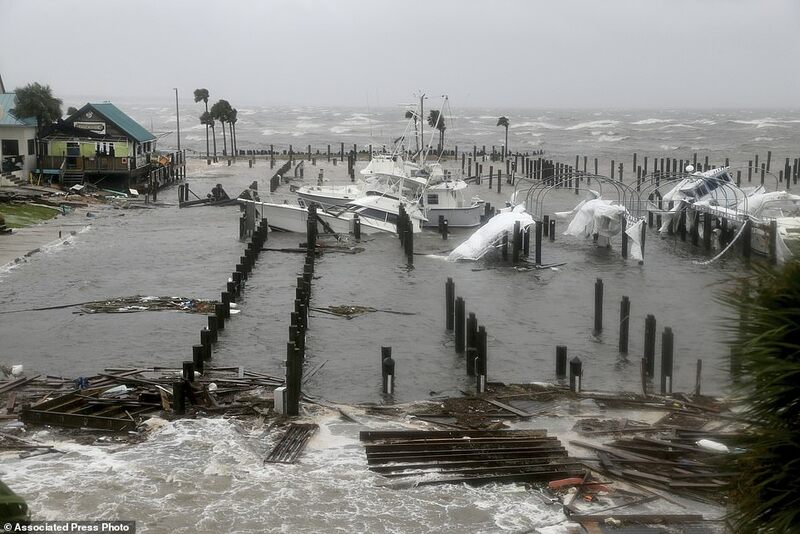 Hurricane Michael still continues to batter Florida today, and now, Georgia and the Carolinas are bracing themselves for the worst as the eye of the storm is headed their way, albeit downgraded as a category 1 storm. Florida has been hit by a crazy amount of devastating storms lately, as well as Georgia and the Carolina’s too, making one wonder just how and where all this bad weather is really coming from. Stay safe out there and evacuate, if you still can.